The first issue is free to download as a PDF, and submissions are open to be published in the following two editions. If you are interested in submitting, donating to help the magazine, learning more, or reading the submissions, go to https://www.wardslitmag.com/. This book by Kelly and John Rosati details the easy and hard of their adoption story. In an interview by Focus on the Family, Kelly said "John and I like to encourage folks who are feeling that urge, that gentle pushing of the Lord’s hand at your back, to get involved with foster care or adoption. Don’t be afraid to go for it. There could be a child out there who needs you desperately. You could be the one to make a difference in his or her life. God may have a new adventure in store for your family. Be open. Follow where God leads." 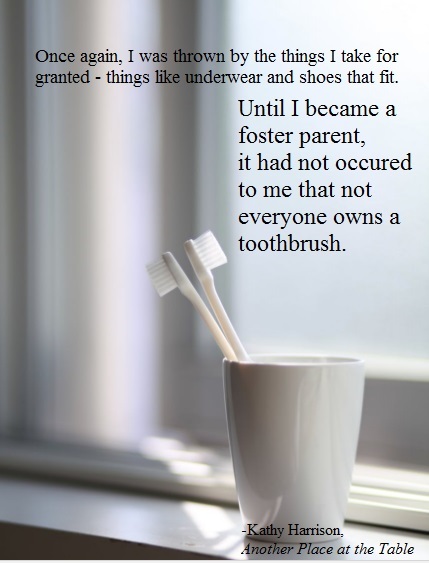 If you feel that urge and are ready to get more information, please visit the foster care, adoption, and contact us pages here on our website. We are eager to meet and work with you! If you want to increase your empathy for the hurting children in your community, find a copy of A Child Called It. The memoir is a powerful introduction to the life of a child abuse survivor, and it opens our eyes to what foster and adoptive children may have faced. In A Child Called It, author Dave Pelzer shares the abuse he suffered as a young child. From age four, he was abused by his mother, both physically and emotionally. This was his life for eight years, until he was brought into foster care at age twelve. The book was published in 1995, and was included on the New York Times Bestseller List for multiple years. This recommendation was provided by Mr. Jerry Sprague, our social services coordinator. He notes that the book can be too intense for some readers, so it is advised that one reads with caution.